So... the Asia's 50 Best Restaurants 2017 awards are done and dusted, and it was now time to paaaaartaaaay! First stop was back in the courtyard of the House on Sathorn, where we have a ton of food and drink. 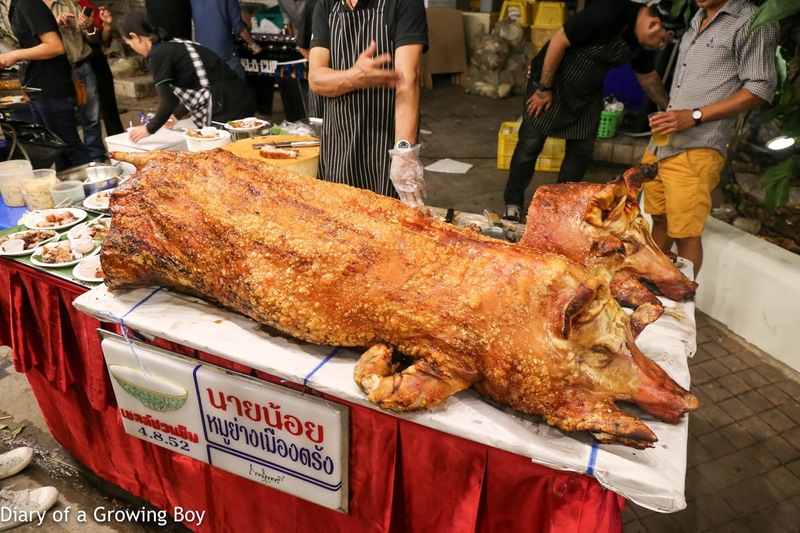 There was a ton of local food, organised by the region in Thailand where they originate - so we've got sai ua sausages from Chiang Mai, barbecued whole pork, and they even brought in the famed Thip Samai to serve their signature pad Thai and Soi Polo Fried Chicken. Of course where was also an oyster bar and a ton of meat - including a really impressive hip of Tajima wagyu that was slow-roasted. But as good as the food looked, I really wasn't interested in most of it. So I nibbled on some of the roast pork, grabbed a few people, and headed for a "second round" at an old favorite. A few of us snuck out of last year's after party at the House of Sathorn and skipped the after party at Gaggan (which was definitely a mistake...) to go to Raan Jay Fai (ร้านเจ๊ไฟ). We loved it so much that we went back 2 nights later. So there was no way that we'd come to Bangkok this year without hitting it at least once! We were here to watch Sister Mole work her magic, as she stands in front of her charcoal-fired woks in full regalia - knitted cap, ski goggles, and pink wellies. 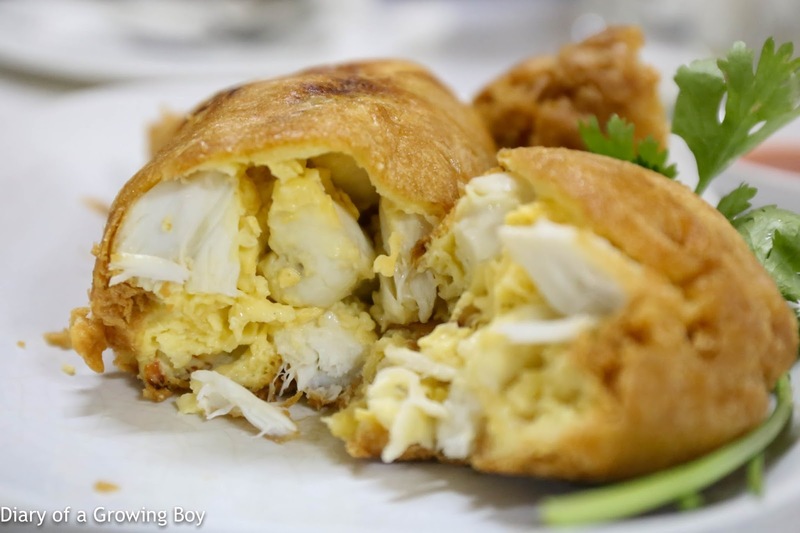 Crab meat omelet (ไข่เจียวปู) - as a certain hit from last summer says... this is what we came for. Arguably the most expensive omelet in town, but so, soooo worth it. It's packed with deliciously sweet crab meat. Simply awesome. And the amount of time and care taken to make sure this is done right... is what makes us love her. 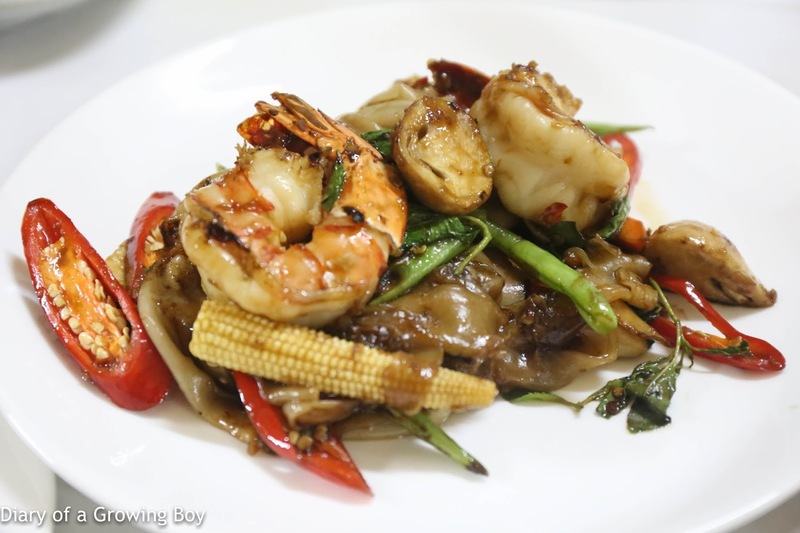 Drunken noodles with prawns (ผัดขี้เมากุ้ง) - had to order a portion of pad kee mao for everyone to share. This one came with a few giant prawns. Still love the soft and stretchy texture of the noodles. Well, we got what we came for, so it was time to head to Gaggan's Unofficial After Party. 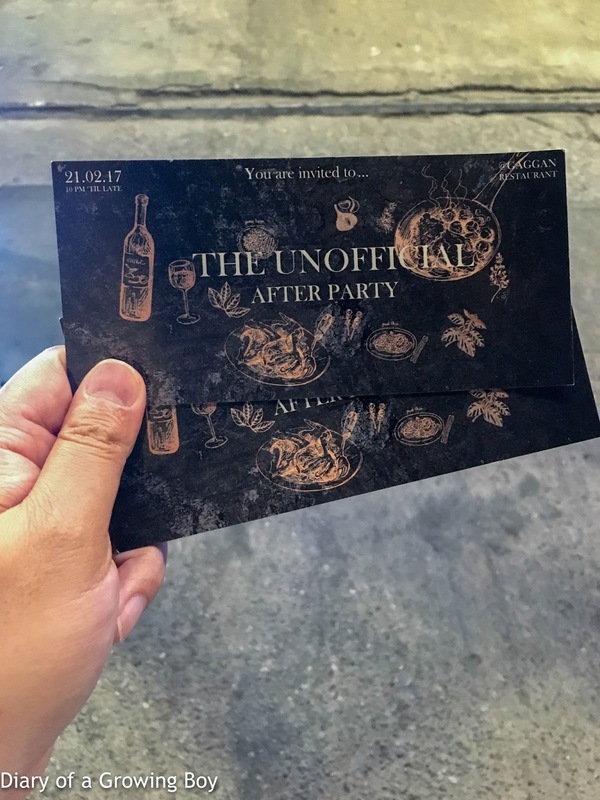 Even though he had handed out tickets to chefs and friends for the party - and I had gotten myself "two tickets to paradise" -Gaggan basically told everyone to "come on down"... so we brought a couple of party crashers with us. The party was catered by Baan Ice (บ้านไอซ์), and they gathered a bunch of street food vendors to give us a real taste of Thailand. Now THIS was a roast pig! And DAMN delicious, too! 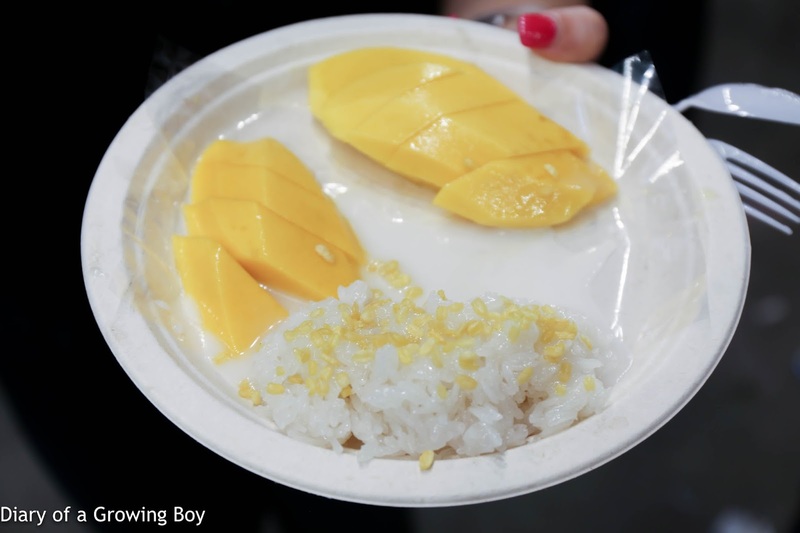 MUCH better than the pig they served at the "official" after party..
Mango with glutinous rice (ข้าวเหนียวมะม่วง) - Hello Kitty liked this better than the one we got from Kor Panich (ก. พานิช) yesterday. Maybe it's because this was a little more "fresh" and hadn't been sitting in a bag for an hour. The rice was softer and a lot less chewy. Definitely tasty. One of the party crashers we brought along with us had two of these by herself... and probably could have had a third. 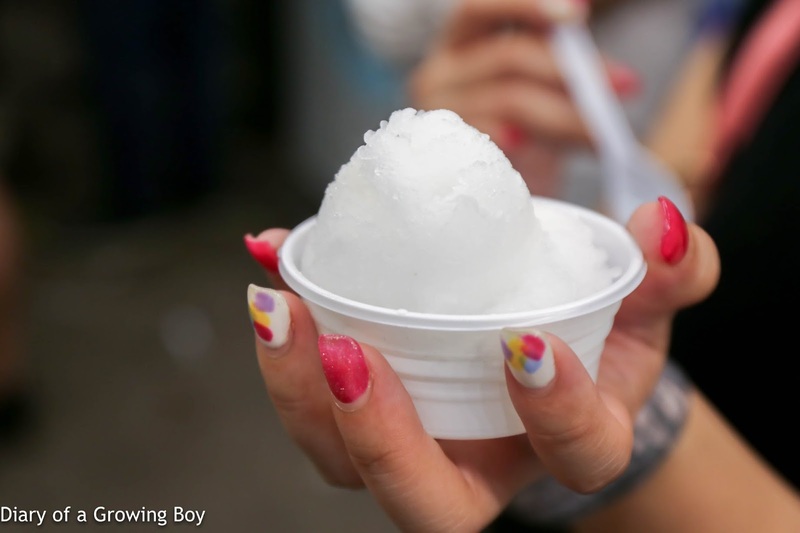 This coconut ice was DA BOMB! Incredibly refreshing with purity of flavors. I'd say that this was also better than what I had at Nuttaporn (นัฐพร). I should have gotten 2 more of these. Occasionally we would run into Your Highness, who came to offer a taste of whatever was on his plate. I was pretty full, but a bite of that river snail curry was definitely interesting. My biggest regret, though, was missing out of the boat noodles that everyone was raving about. It was so popular that by the time I got around to it, they had long run out and were packing up to leave.